Going to Prom or Getting Married? For high schoolers, spring is more than just the season of April showers and May flowers. It’s prom season. I must admit I loved prom season. The dresses, the pictures, the dance itself. I loved all of it. But there was one thing I wasn’t a fan of—the Promposal. 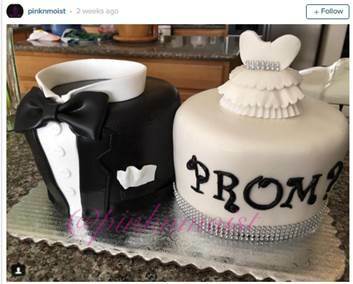 High schoolers now live in the era of the Promposal. Gone are the days of just asking someone to prom. Now, you must pull out all the stops to ensure that your desired date says yes. You must be creative and funny and sweet and romantic all at the same time. I wasn’t a huge fan of them when I was in high school, but I guess I thought they were kind of cute. I don’t think that any more. Prom used to be so simple. You would ask someone and if they said yes, you would go together, and if they said no, you would ask someone else. Now that Promposals have become the new norm, you have to borderline propose to someone just to get a date to a dance.